Is anyone stateside have a set of Thyssenkrupp Carbon Fiber wheels for 2014 HP4? Ordered a set roughly 6 weeks ago and was told they’d be here within 2-4 weeks. Just received an update today it’s going to take an additional 5-6 weeks before they even ship out. 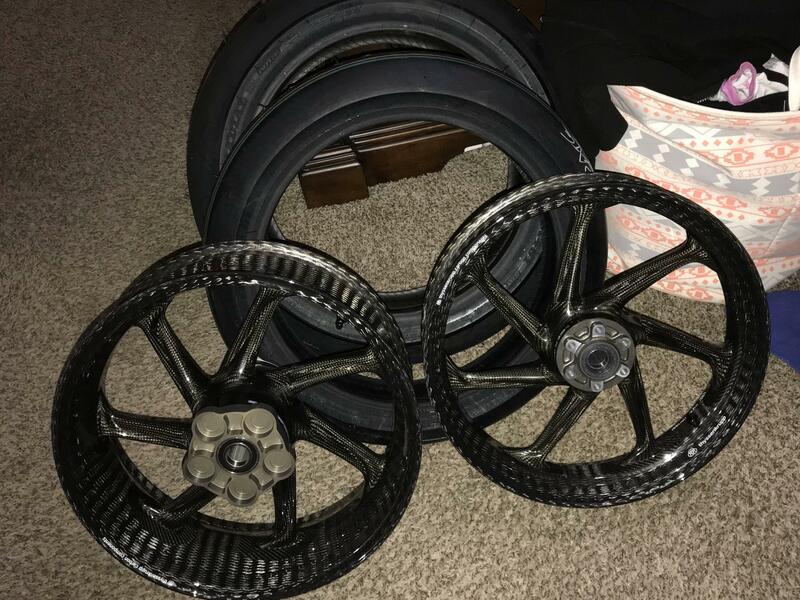 Really would like to have these before race season so if anyone is selling a set, I am located in Colorado and Paypal ready. Which style do you want? Style 1 or 2? I can check lead time, I am an Alpha dealer. Margins are not there for me on these wheels but I will do what I can for a forum member. PM me. UPS shows delivered. Enjoy your wheels! These things are gorgeous. Still amazed how they made it from Germany to my doorstep in central USA in 2 days. Just unbelievable. I didn't get a chance to take many photos, out of the box, but will make sure to do so once they're mounted. Thank you for the great service and will be getting in touch for that subframe next week sometime. Last edited by ChampC; Today at 01:23 PM. Thanks for the feedback! Those wheels are NICE!